I’ve been very busy lately with several large analyst/research writing projects so less links than usual this week. It will be sometime before I return to a more regular blogging schedule. 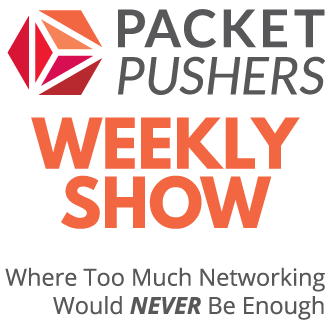 You should check out Packet Pushers in the next few days where we will be launching a new feature – we are writing our own white papers for you to consume. 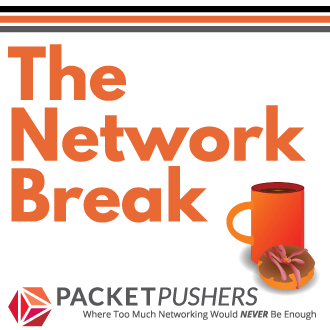 There is a lot happening in the world of SDN in the next six weeks. I’ll do my best to add links to the commentary about each of the product launches. His talk was titled “SDN: OS or Compiler”, and he advocated an altered viewpoint in SDN: We see SDN as an operating system, but we should think of it as a compiler. We should tell the system “what we want” from the system, but instead we often prescribe “how it should do it”. I may not always agree with Kireeti, he’s right on the “what, not how” point of view. My first point of amusement derives from the fact that, entre nous, this what-not-how approach was central to the grassroots movement within the ONF in October of 2011 which led to the creation of the Forwarding Abstractions Working Group. On the one hand, video-conferencing provides an alternative to physical meetings, reducing the need for travel. On the other, improved telecommunications and particularly internet coverage are making it easier for companies to become more networked make contacts all across the globe—contacts that need visiting from time to time. The results of the study were fairly inconclusive, finding insufficient evidence that either factor overweighed the other. Video conferencing allows you to have more relationships within your company. In the end you need to travel more to meet more of those people you have met BECAUSE of video conferencing.Video conferencing ends up costing more money instead of the saving it because the purchase price in a total increase in spend. The Reference Design architecture is based on merchant silicon and the Big Switch Networks Switch Light, an open source, OpenFlow thin switching platform (also announced today). This platform is based on the Indigo open source project, designed to communicate with the Big Network Controller as part of cost-optimized SDN deployments. Extreme Networks is taking the next step, combining this open platform with global service, support, and deployment capabilities for success in mission-critical networks.